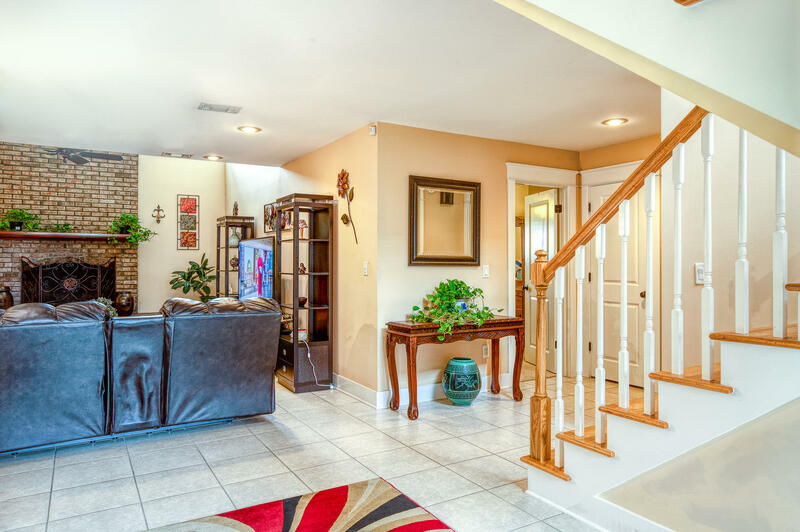 Exquisite home with many special features. 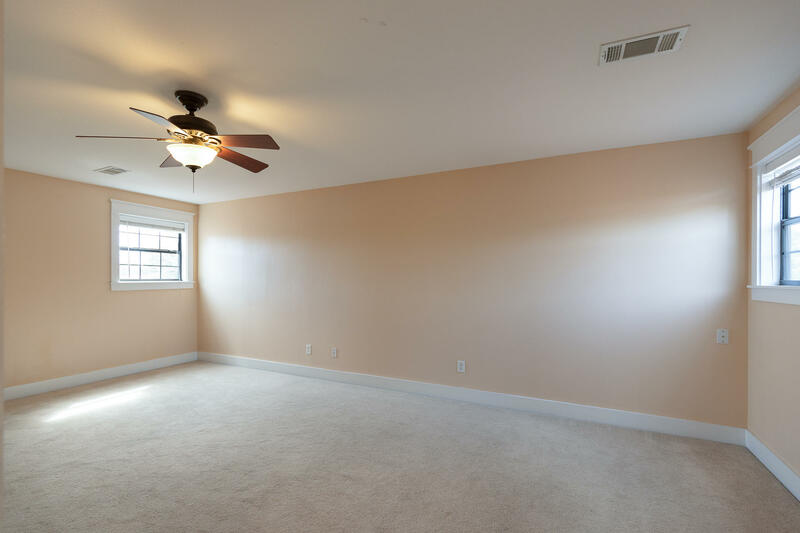 Huge bedrooms. 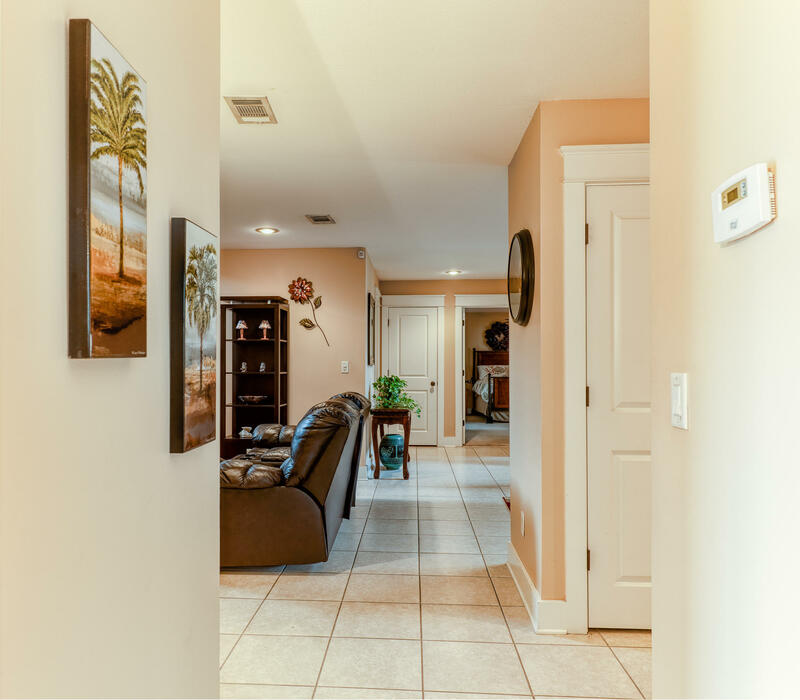 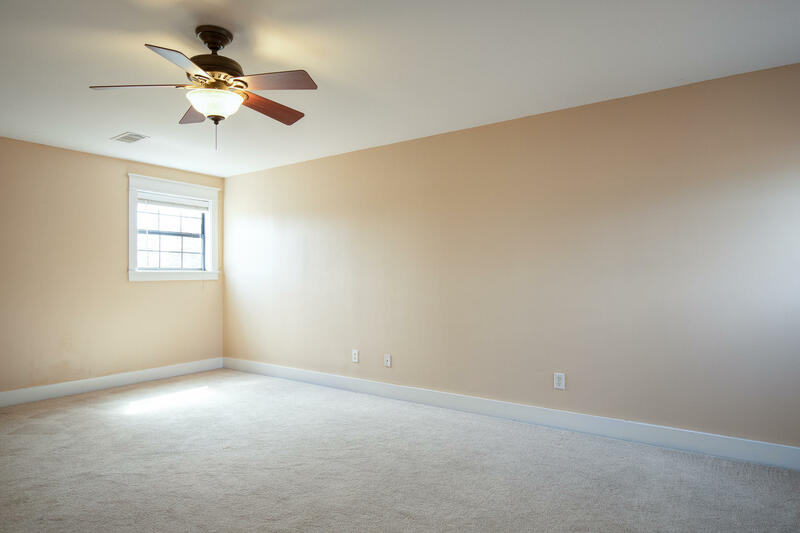 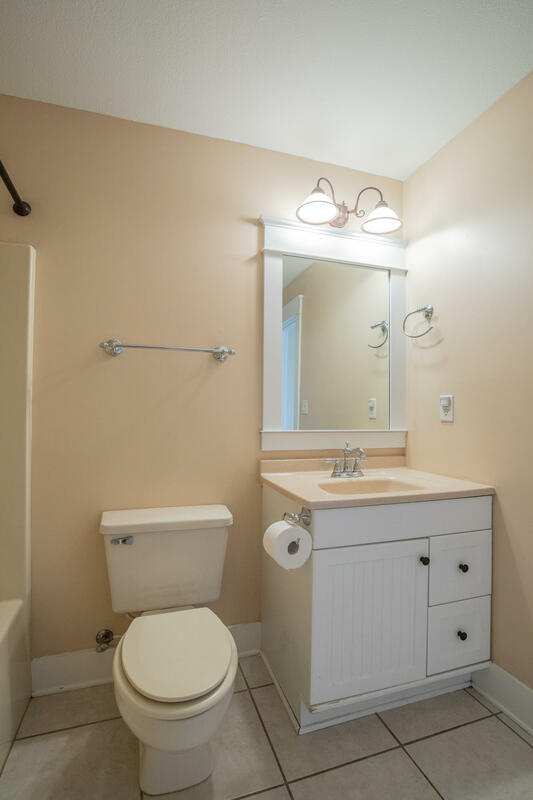 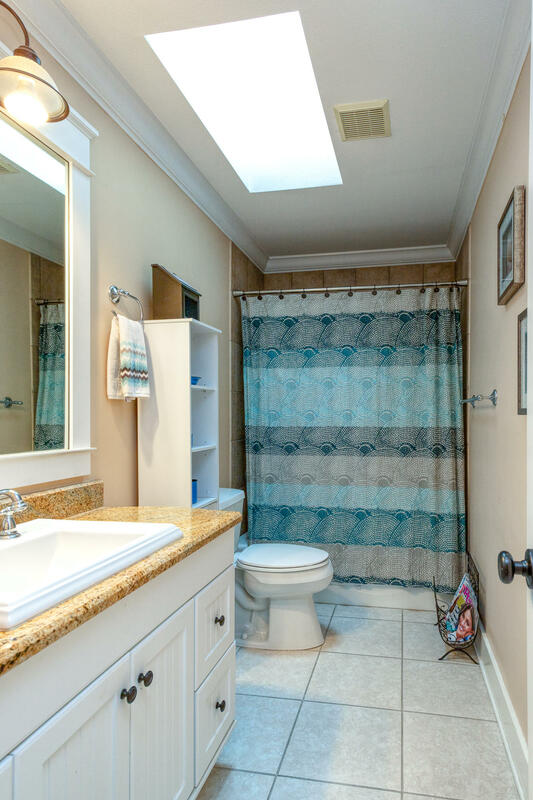 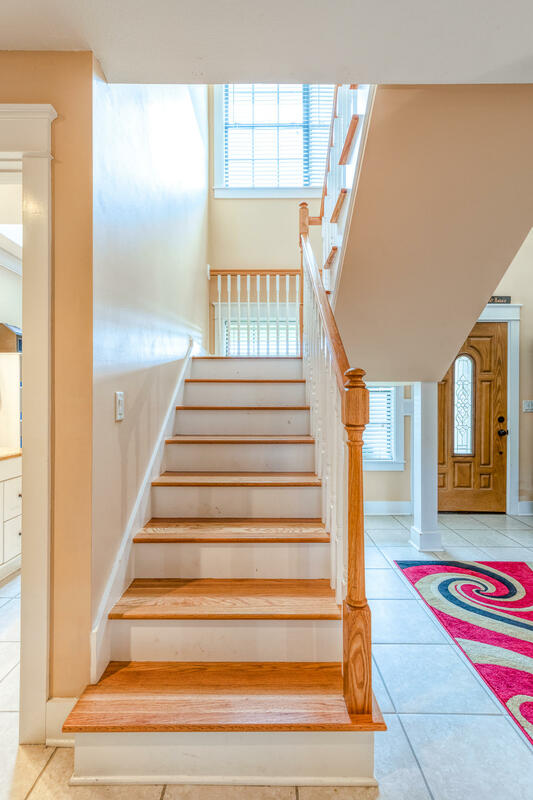 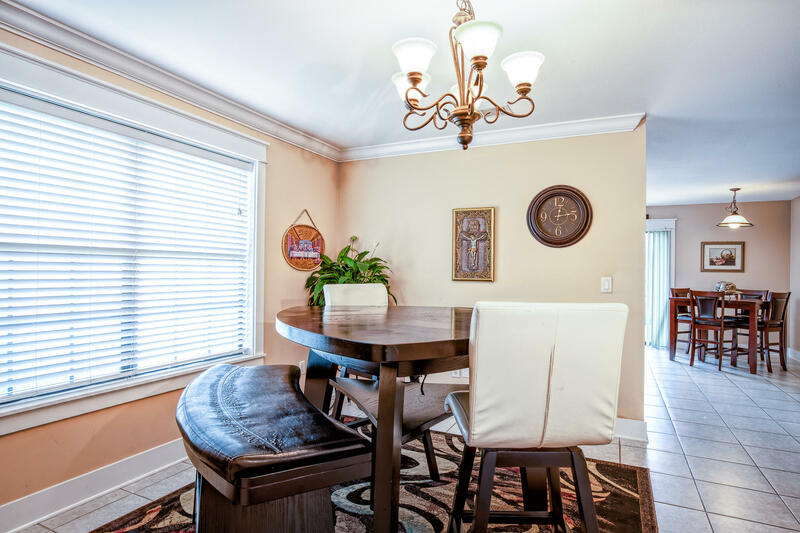 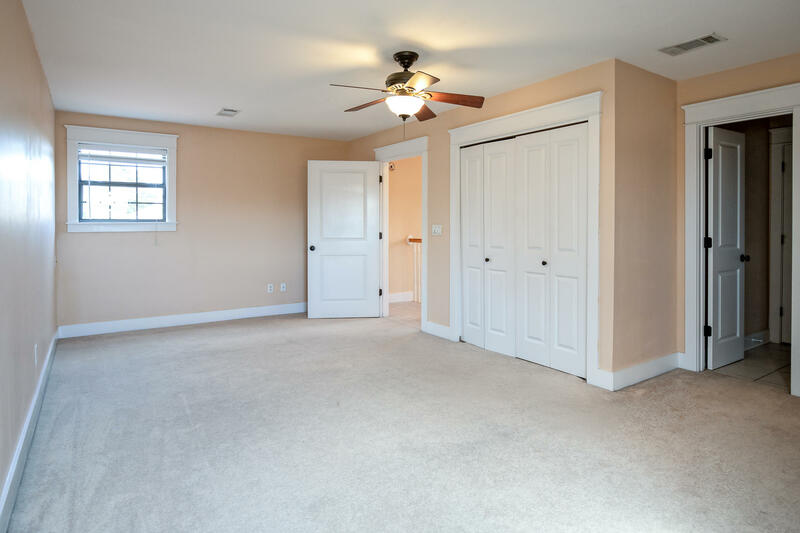 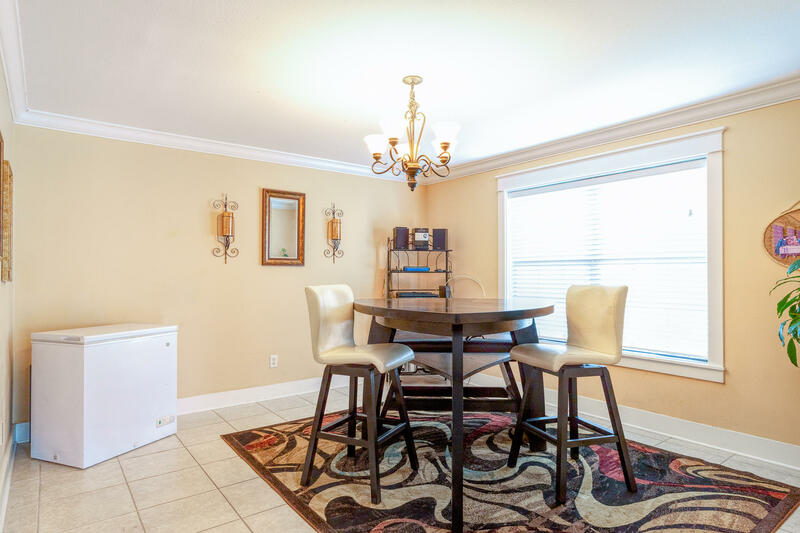 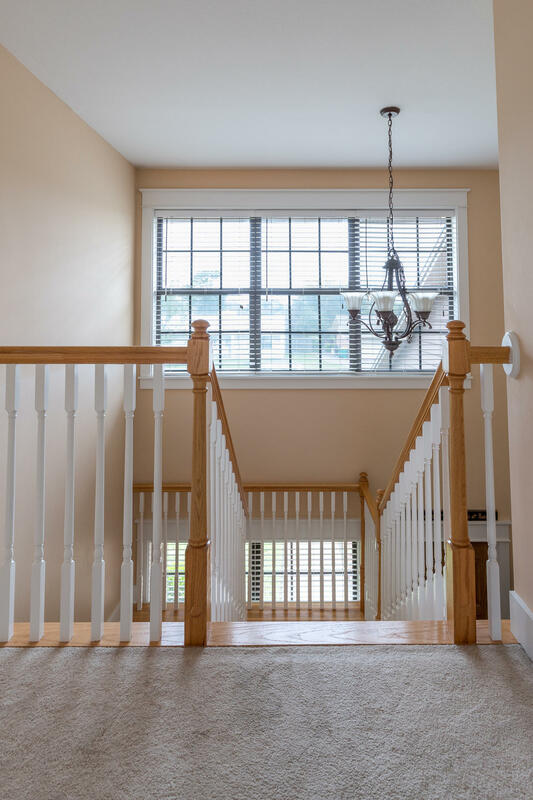 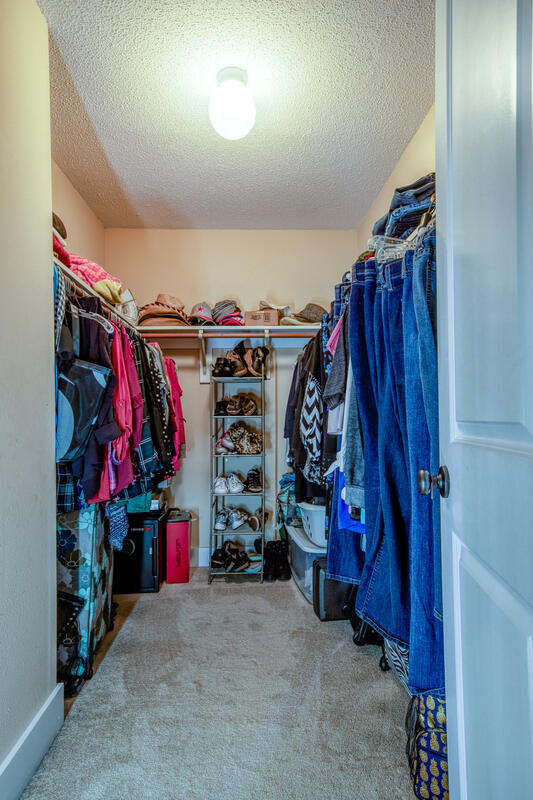 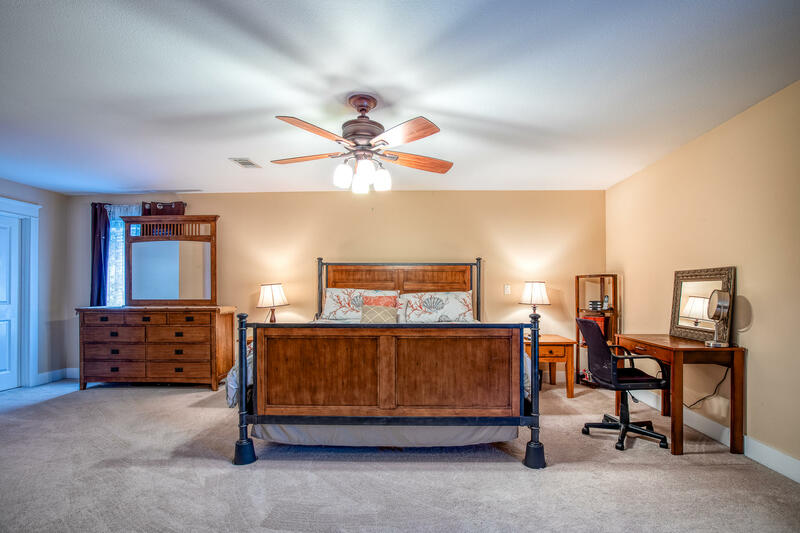 Work from home upstairs in your large bonus room/bedroom with a full bath. 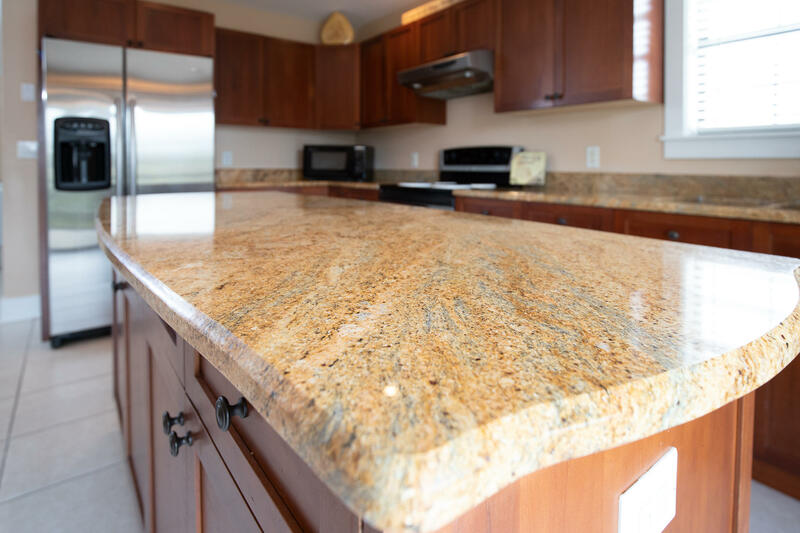 Downstairs you have an eat in kitchen with a granite island, a t.v. 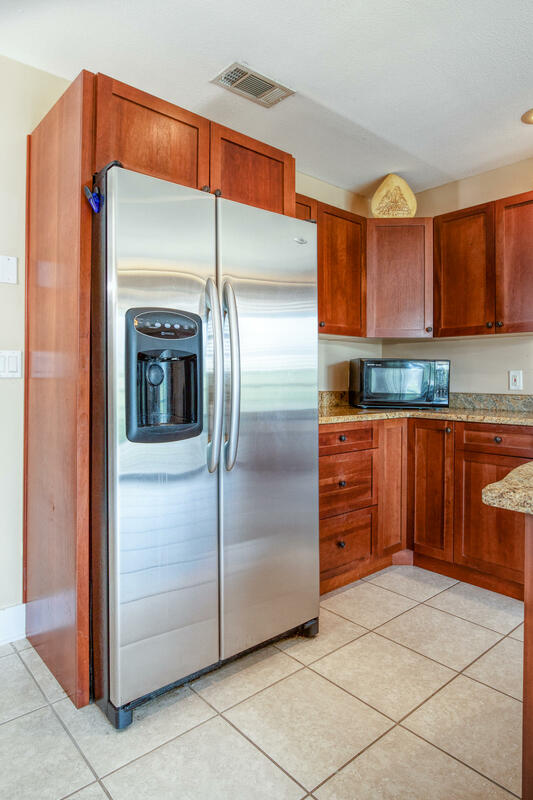 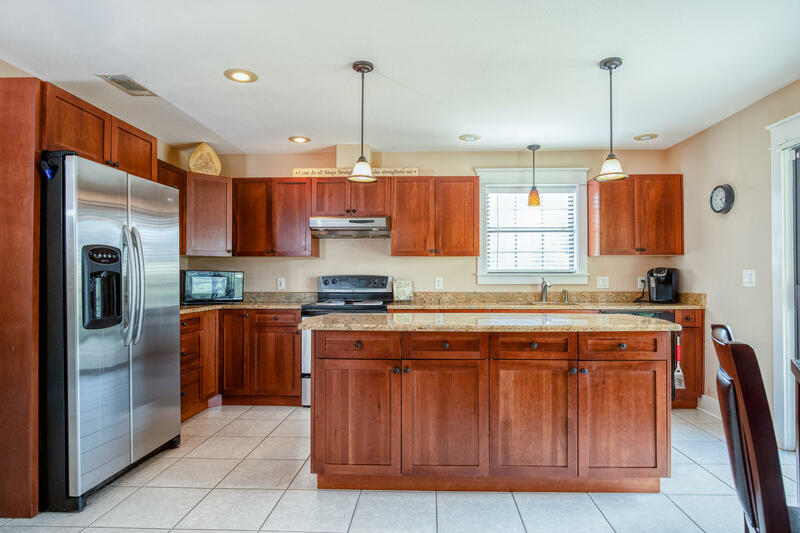 in the kitchen that stays with the home, and stainless steel appliances. 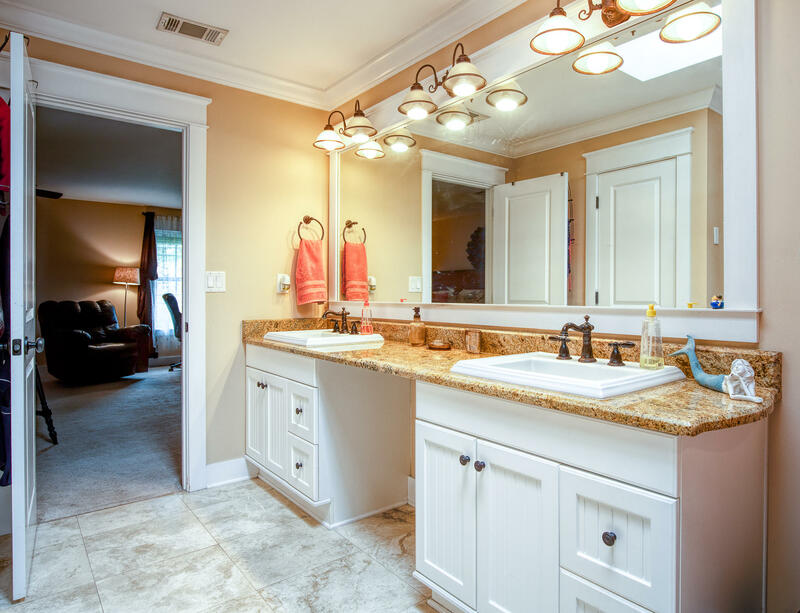 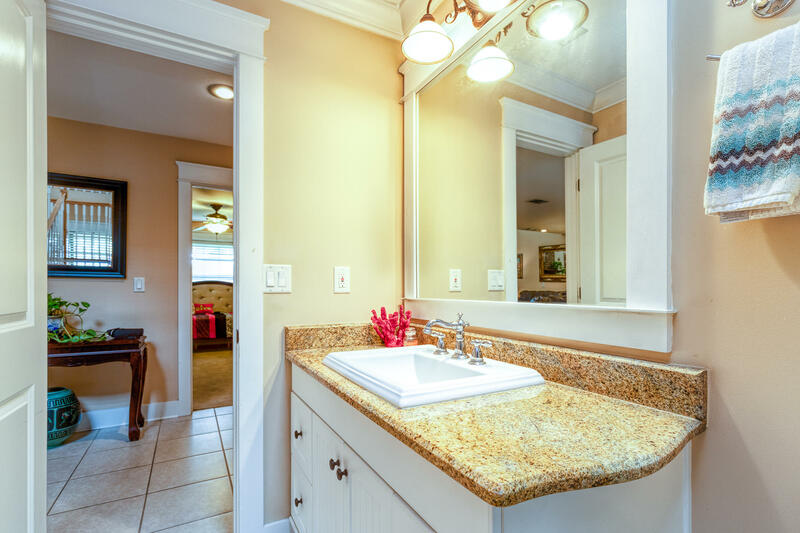 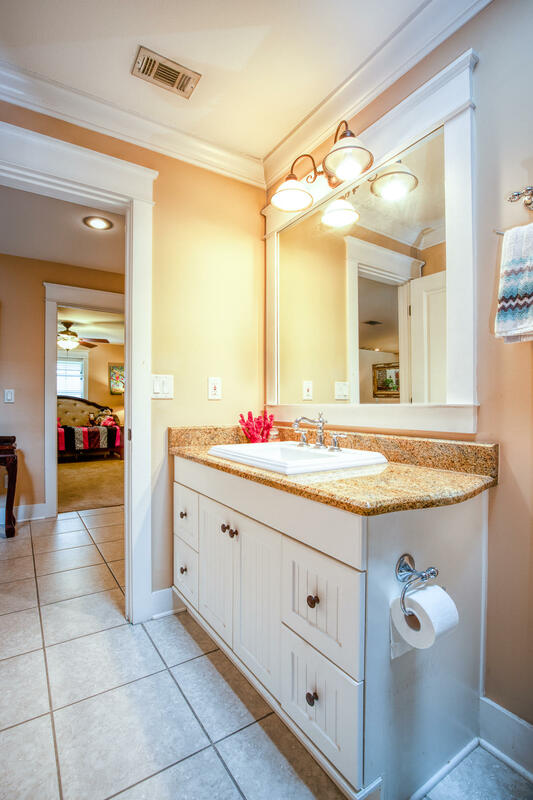 Laundry area inside home, beautiful fixtures throughout home. 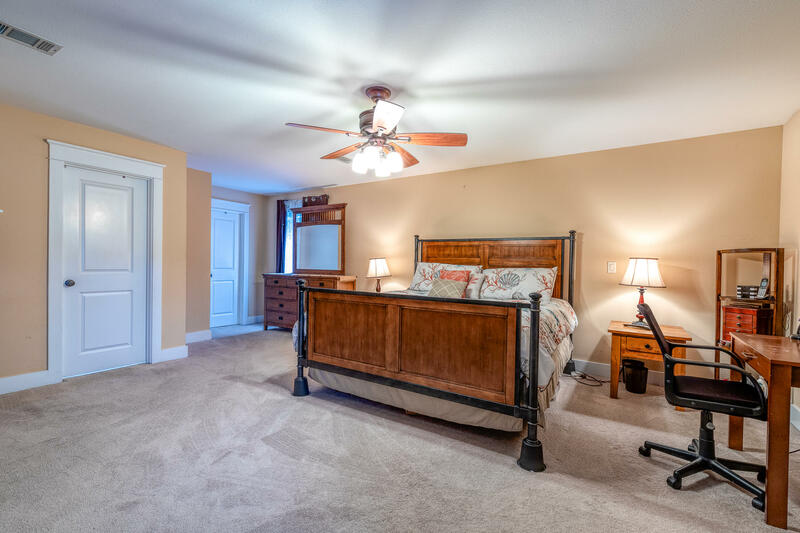 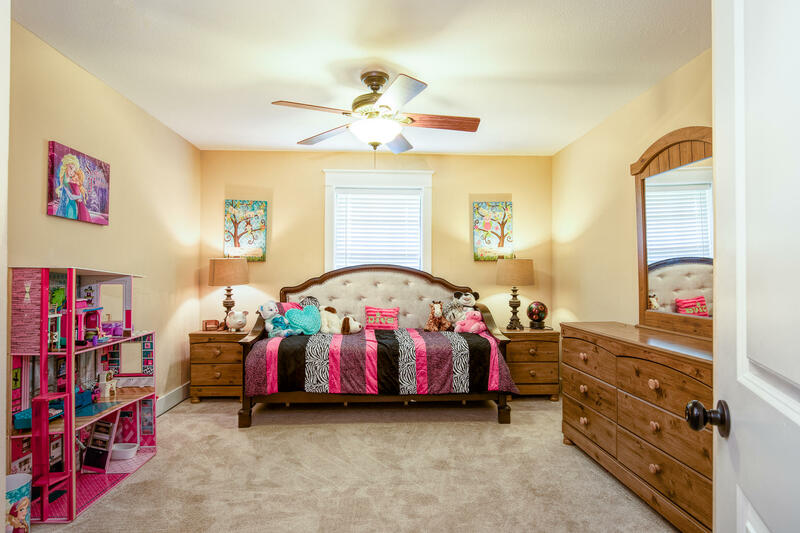 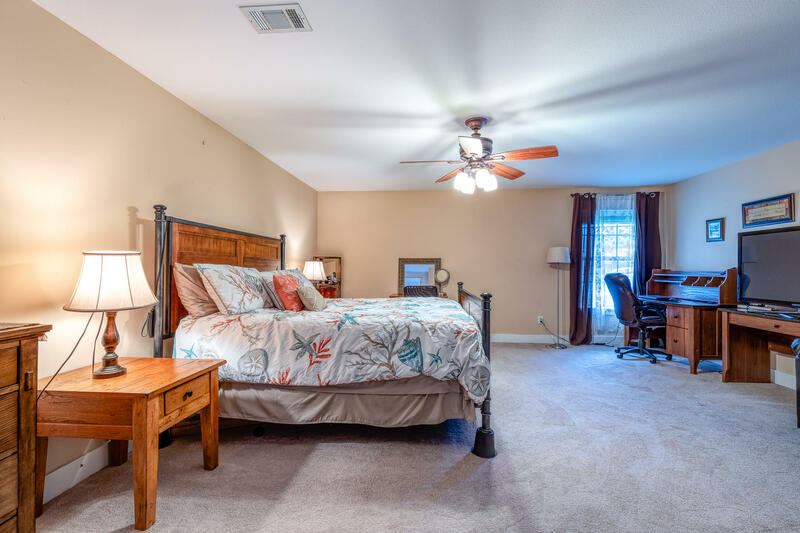 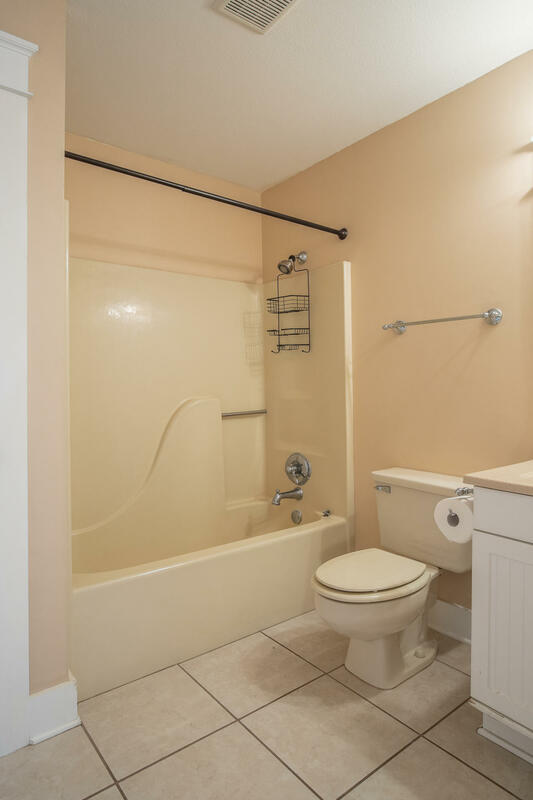 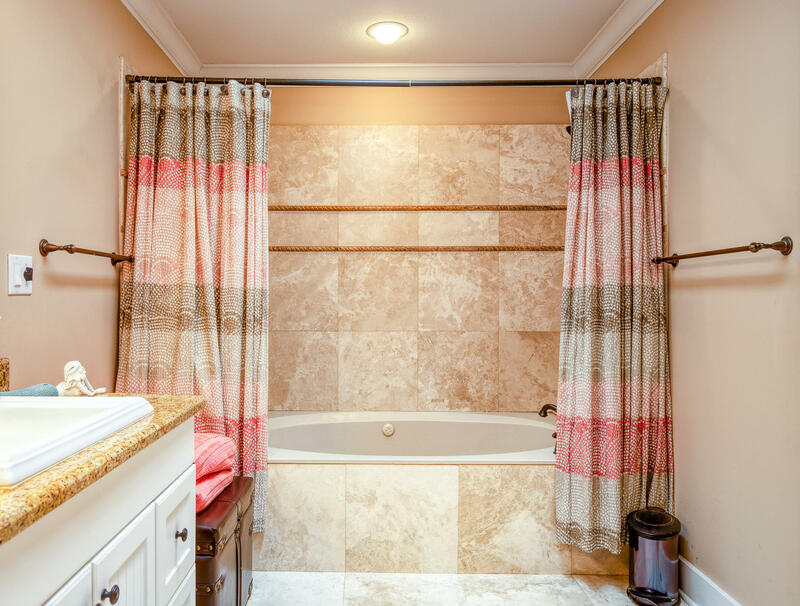 The master bedroom is downstairs with a huge walk in closet, or you could use the large bedroom with a bath upstairs as your master. 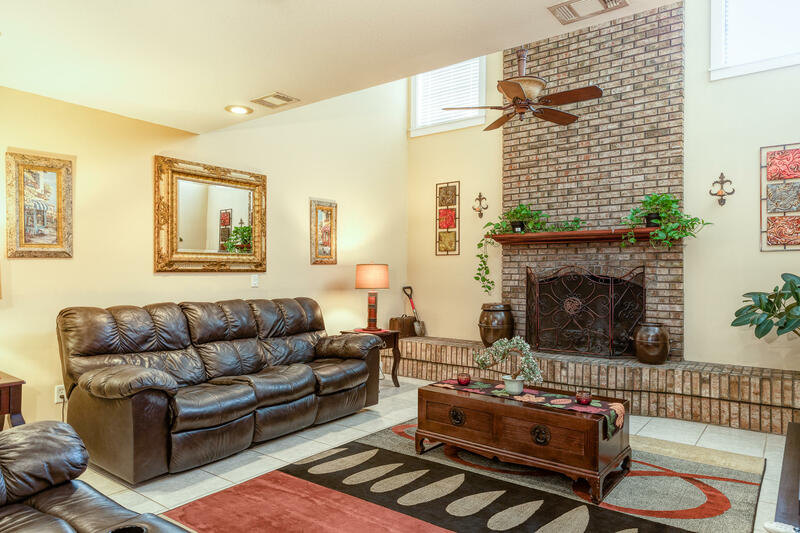 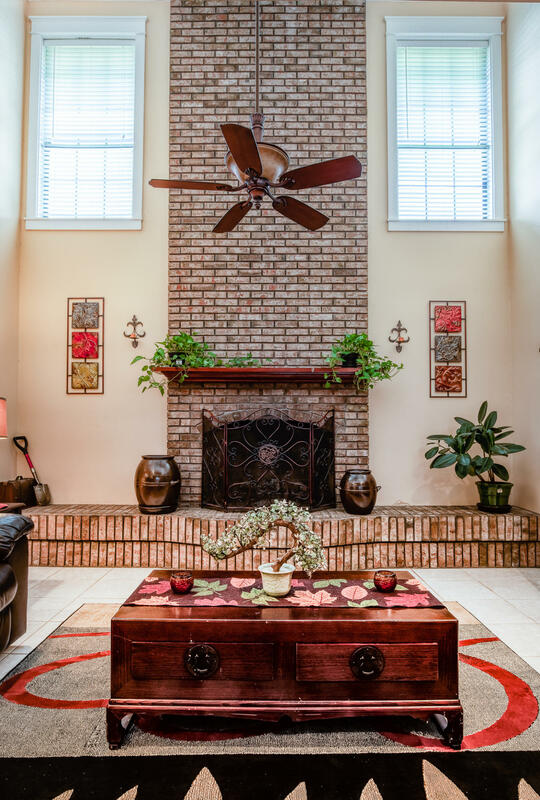 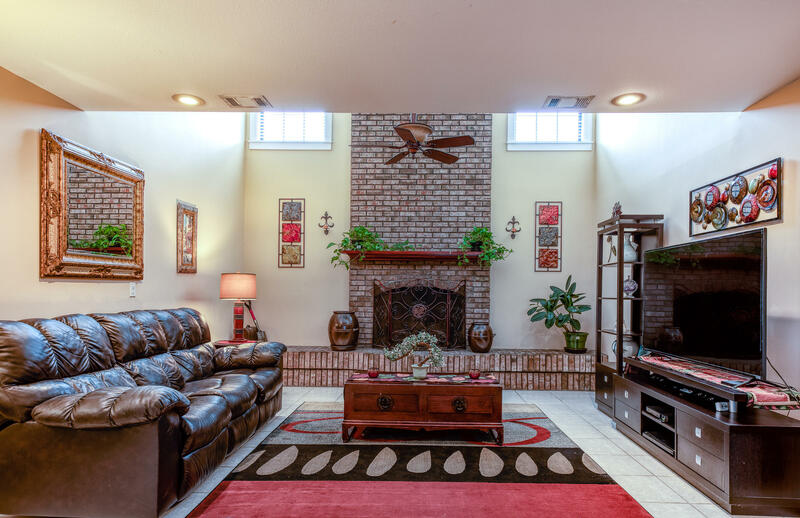 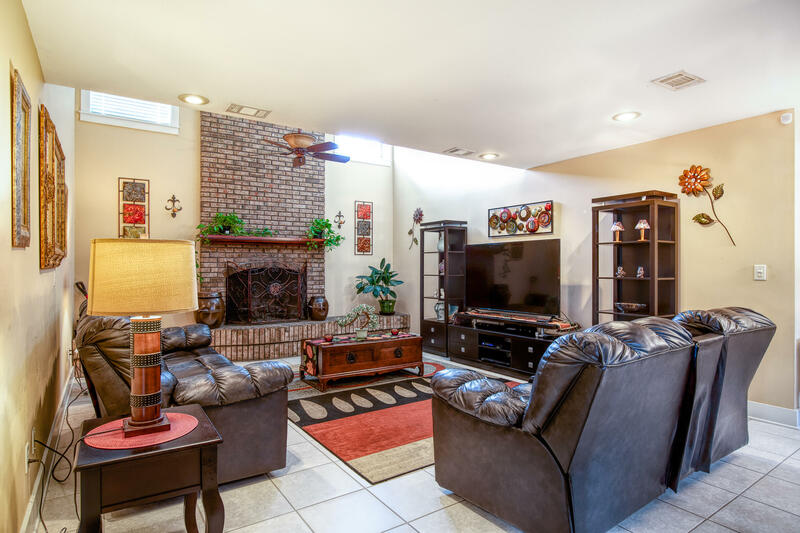 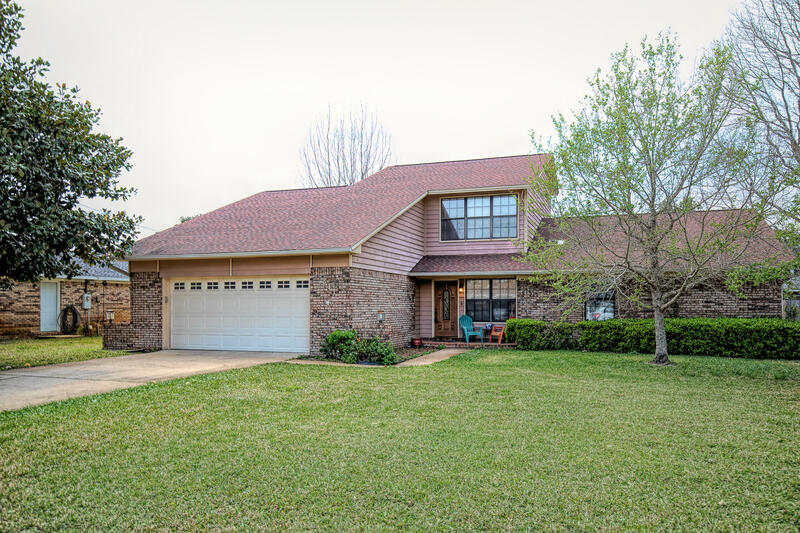 Upon entering the home you will notice the fabulous soaring ceilings and beautiful brick fireplace. 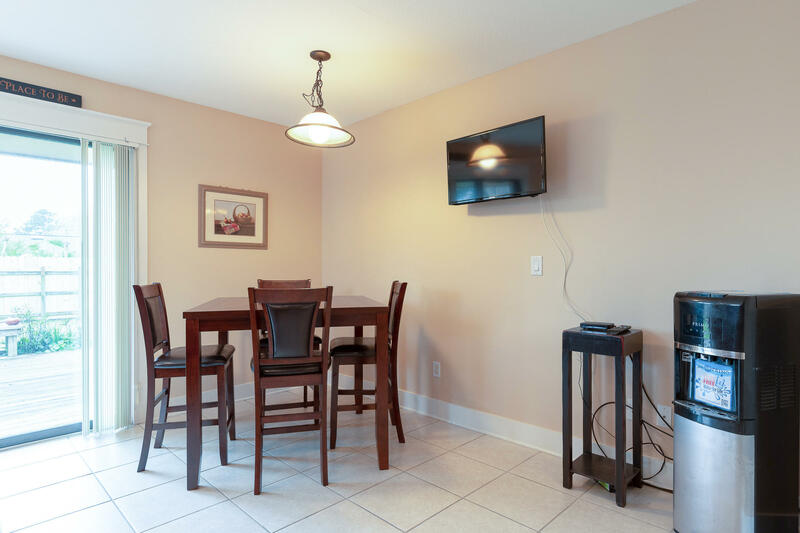 Home is all electric with very low utility bills. 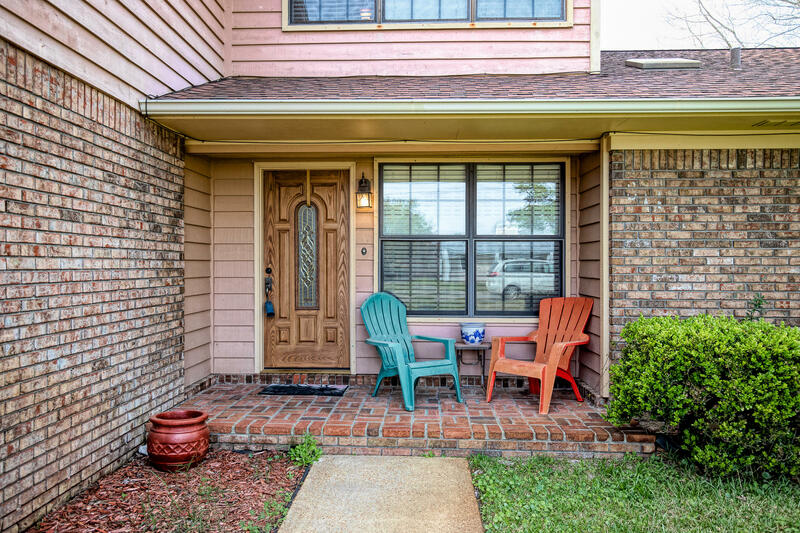 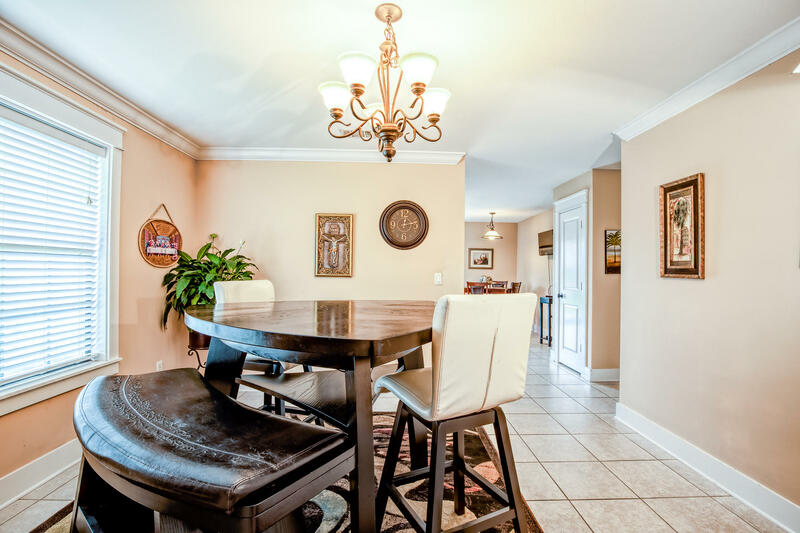 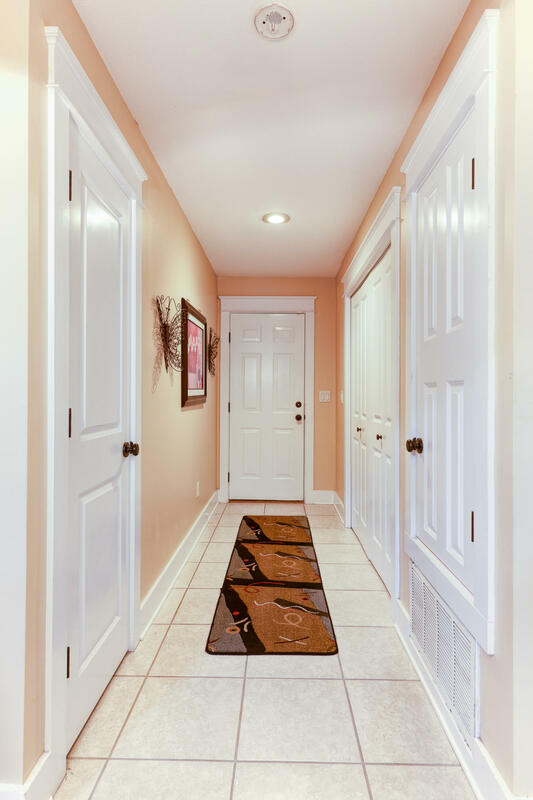 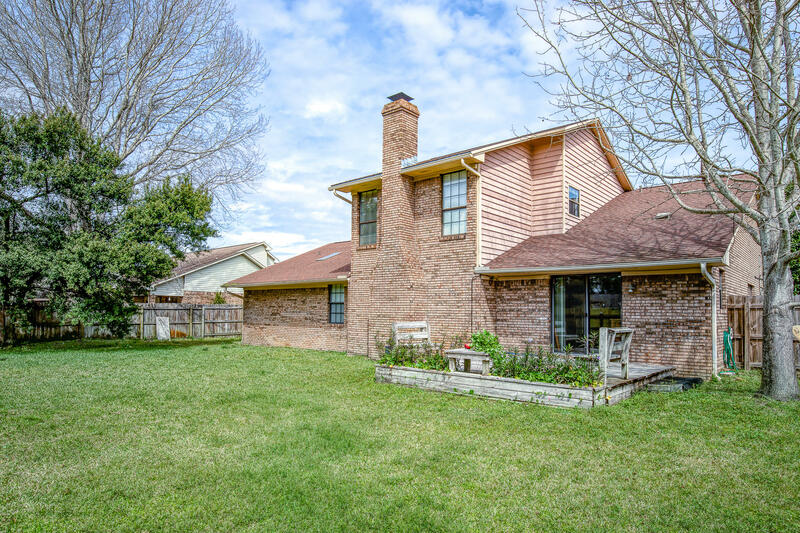 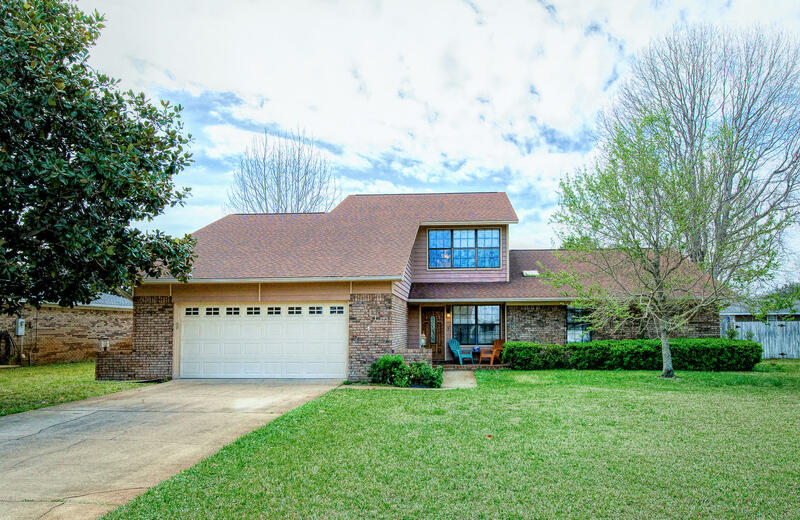 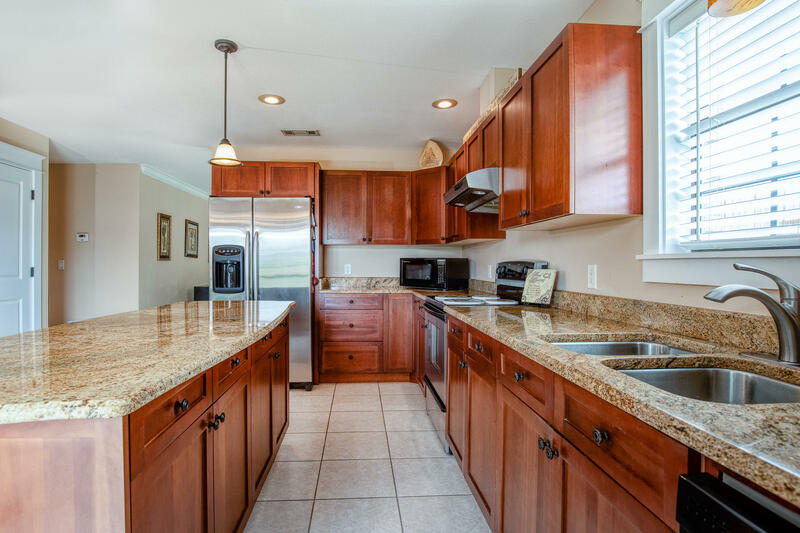 This home is in a most popular subdivision with large lots and beautiful homes. 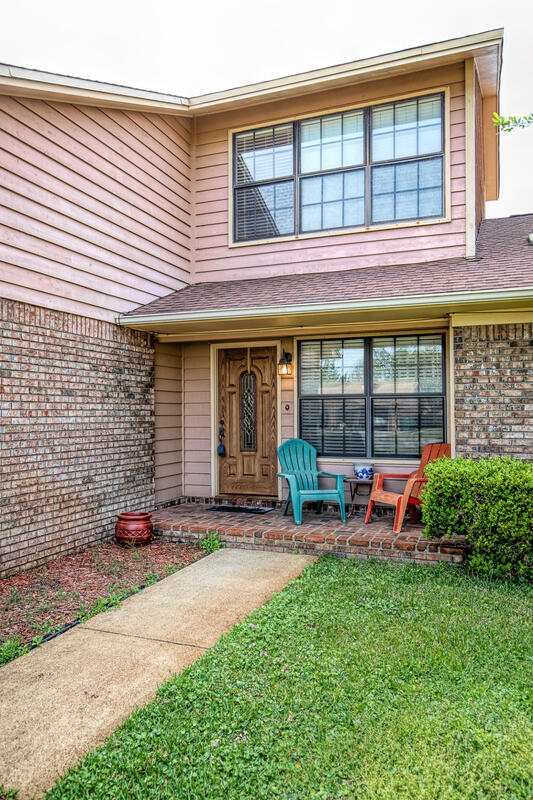 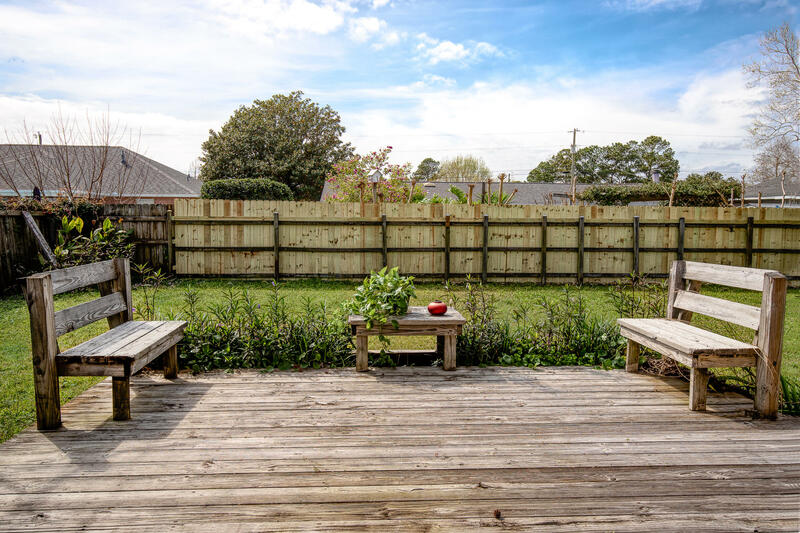 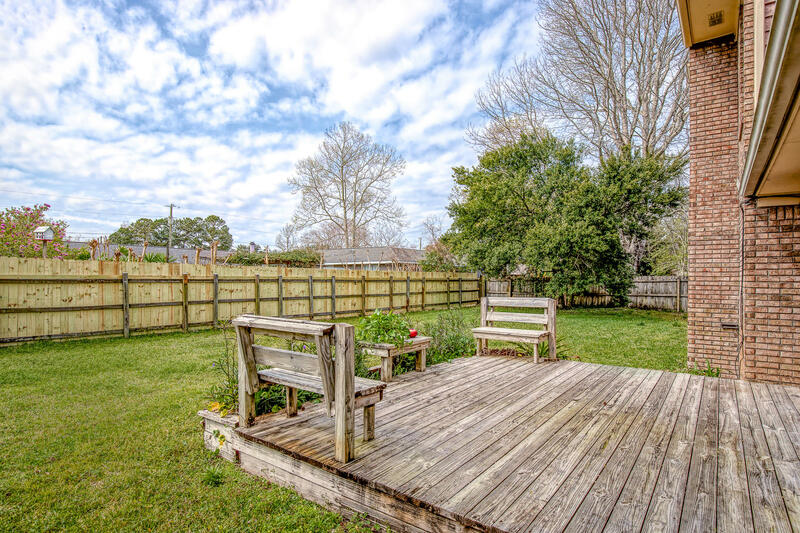 Close to the elementary school, doctors office, and beaches.